MASTER SUITE # 1 (UPSTAIRS) con letti king size e TV a schermo piatto da 40 "
MASTER SUITE # 2 (DOWNSTAIRS) con letti king size e TV a schermo piatto da 32 "
Soggiorni-con 55 "TV a grande schermo. Our stay in Sunset Lakes was great! The house was very spacious and perfect fit for our family of 9. 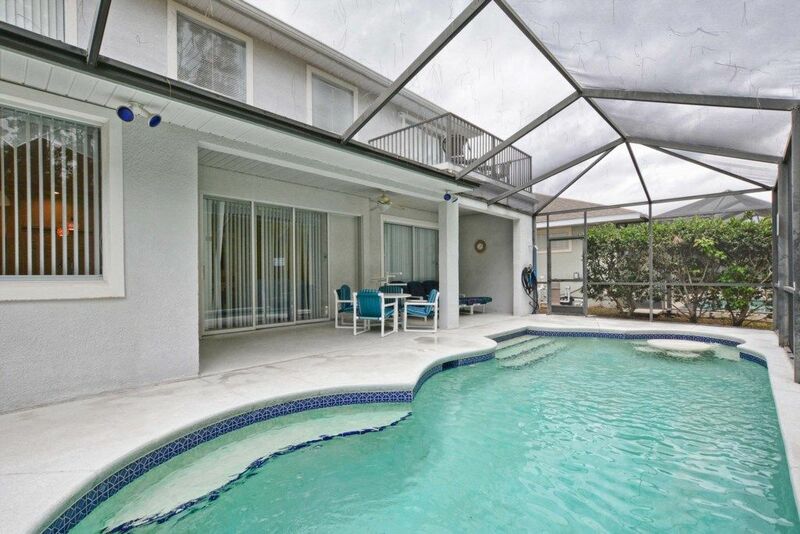 Lots of rooms, nice flow to the house, nice enclosed patio and swimming pool. The kids enjoyed both the swimming pool and game room immensely! They probably would've been happy staying there, rather than waiting in lines at Disney and Universal (lol). The kitchen seemed new, or just in really good shape. That area including the breakfast nook and living area served as the focal point for the week. I do want to point out a few things we didn't like but nothing warranted a complaint to the office. We just handled it. The house had single zone A/C which we found surprising, considering the home is 2-story, has high ceilings, and lots of space. At least the upstairs bedrooms were cold. The king bed mattresses were sunken in the middle. Maybe flip them over for next family (lol). And the outdoor gas grill was not clean - well, at least not to my liking. Maybe a good washing inside and out with lots of degreaser and hose (lol). The Florida Scandi team was excellent - very responsive before, during, and after the trip. We had late arrival and departure which we were concerned about. But the everything was in order, and the process went smooth. I would definitely rent from this team again. Overall, the house was just as pictured and advertised! The location is excellent. Our experience was great and we thank you for having us!